Australian law provides comprehensive rights to employees against wrongful dismissal and workplace bullying. 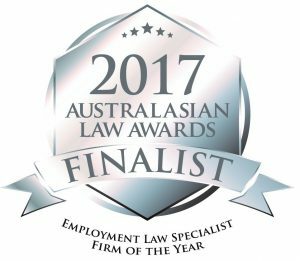 McDonald Murholme has experienced lawyers giving employees access to those laws around Australia. Advice is provided throughout Australia and internationally. The firm provides sound legal advice and a strategy to make the laws work for employees when confronted with a better resourced and more powerful employer. Our strong point has always been our personalised service. 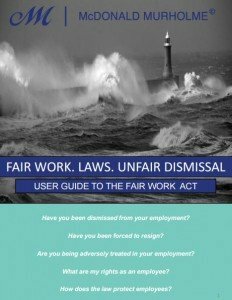 This is a how-to guide to navigate possible causes of action under the Fair Work Act 2009 (Cth) where your employment has been terminated, if you have been forced or coerced into resigning your employment or if you are being adversely treated in employment. You may make either an unfair dismissal application or a general protections application. Our clients' satisfaction is pivotal to our own success.